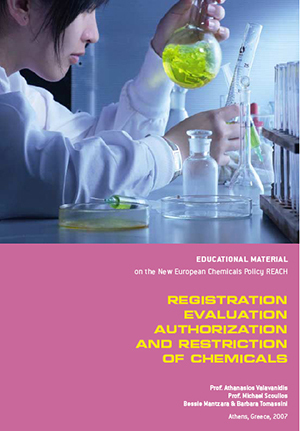 This publication has been developed within the framework of the project REACHing Sustainable Management of Chemicals in the Euro-Mediterranean Region and provides with useful information concerning the REACH legislation and the EU chemical policy reform. REACH came into force in 2007. This law took nearly nine years to develop, and provoked ‘the fiercest lobbying battle in EU history’ mainly between the chemical industry and groups representing the interests of health and the environment. The aim of REACH is to improve the protection of human health and the environment through the better and earlier identification of the intrinsic properties of chemical substances. At the same time, innovative capability and competitiveness of the EU chemicals industry should be enhanced. The benefits of the REACH system are expected to come gradually, as more and more substances are phased into REACH.